One of the critique groups I used to attend sometimes almost came to blows arguing about dialogue tags. Maybe if we had had the post you will find HERE by Janice Hardy at Fiction University, we could have avoided those arguments. Steven Pressfield has a great post on how to steal from other writers. Yup. Really. This is worth checking out. Click HERE. I found a post that examines deep point of view. It’s a guest post by Rhay Christou at Writers in the Storm and is to the point and full of excellent examples. Click HERE to read this terrific post. Last week, I offered an ARC of Poisoned Apples: Poems for You, My Pretty by Christine Heppermann to one of you. 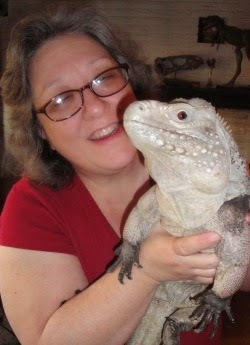 The winner this week is Elizabeth Steinglass, a poet from Washington D. C. Congratulations, Elizabeth!! If you are not familiar with her, you can find her blog HERE and read some of her lovely poetry and find some great tips for writers. Elizabeth, I will be sending the book out to you this week. For the rest of you, I have another very cool giveaway this week, so keep on reading. This week I’m very excited to tell you about a wonderful middle-grade book by Kelly Milner Halls. I have long been a fan of Kelly’s books and had the chance to meet her last April at the local SCBWI Spring Spirit conference. 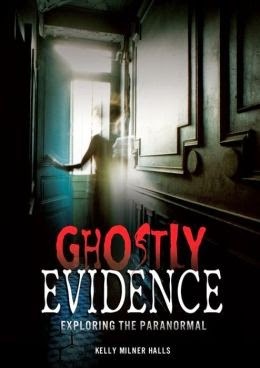 I couldn’t wait to get my hands on her latest book, Ghostly Evidence: Exploring the Paranormal, but it took me awhile. This is a bit of a departure for me here. I usually review fiction, but Kelly writes non-fiction about things a lot of people think are fiction like Sasquatch, Aliens, and Ghosts. Here is my 5-star review of this wonderful book from the San Francisco Book Review. recordings, interviewed witnesses and ghost hunters and scientists, and distilled all that information for young readers. What middle-grade reader would not be absolutely fascinated with this wonderful compendium of information on ghostly sightings? This non-fiction work has lots of suggested readings, internet links, and ghostly places to visit. The writing is terrific and the research impeccable. I kind of hate to do this, but I think it’s only fair that I share Ghostly Evidence, so I am offering my gently-read hardback copy to one of you. All you need do is have a US address, be a subscriber or follower and tell me that in a comment you leave on this post. If you are reading this in your email, click HERE to go to the blog so you can leave a comment. If you would like extra chances, please spread the word by posting the link on a Tweet, blog post, Facebook, or any other way you like. Let me know what you have done in your comment, and I will put in extra chances for you for each that you do. Don’t forget to check out Shannon Messenger’s wonderful blog HERE for many more Marvelous Middle-Grade Monday reviews and giveaways.